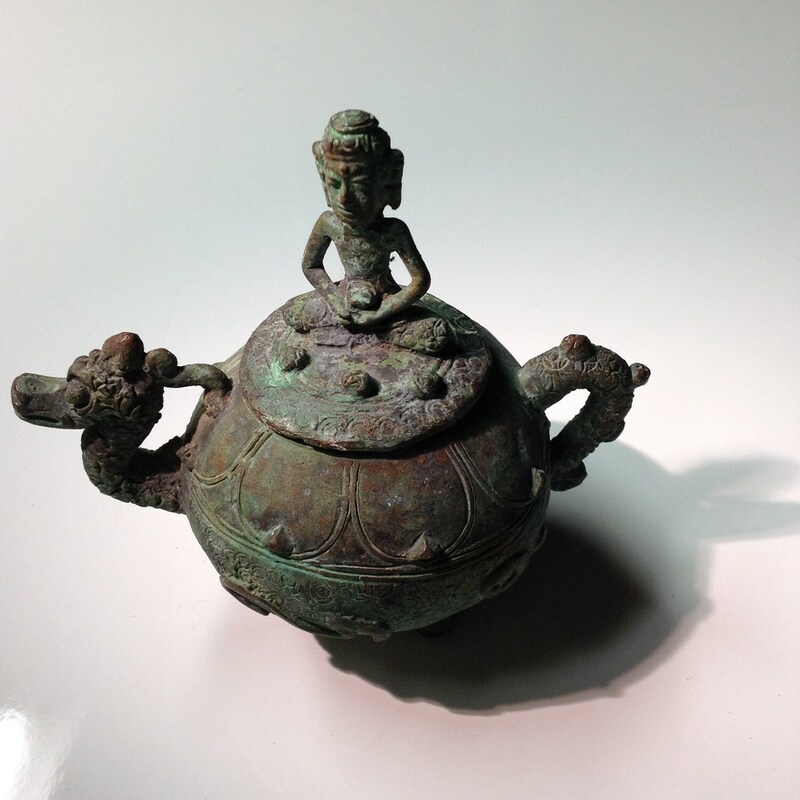 Offered here is an antique Javanese bronze Buddhist dragon vessel. The buddha in padmasana (double lotus position) atop the lid of the teapot form vessel. 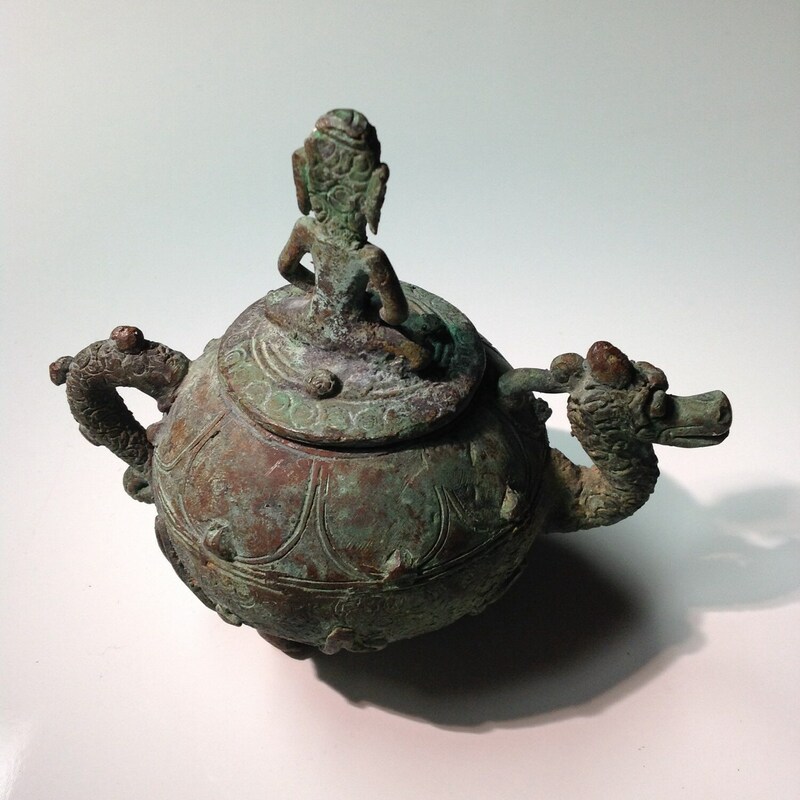 I am unsure of the purpose of this three-footed vessel made from a heavy gauge bronze and featuring handles in the form of the dragon's head and tail. There is no spout, but the vessel is watertight. It is possibly a symbolic miniature of the larger Javanese kundika vessels. 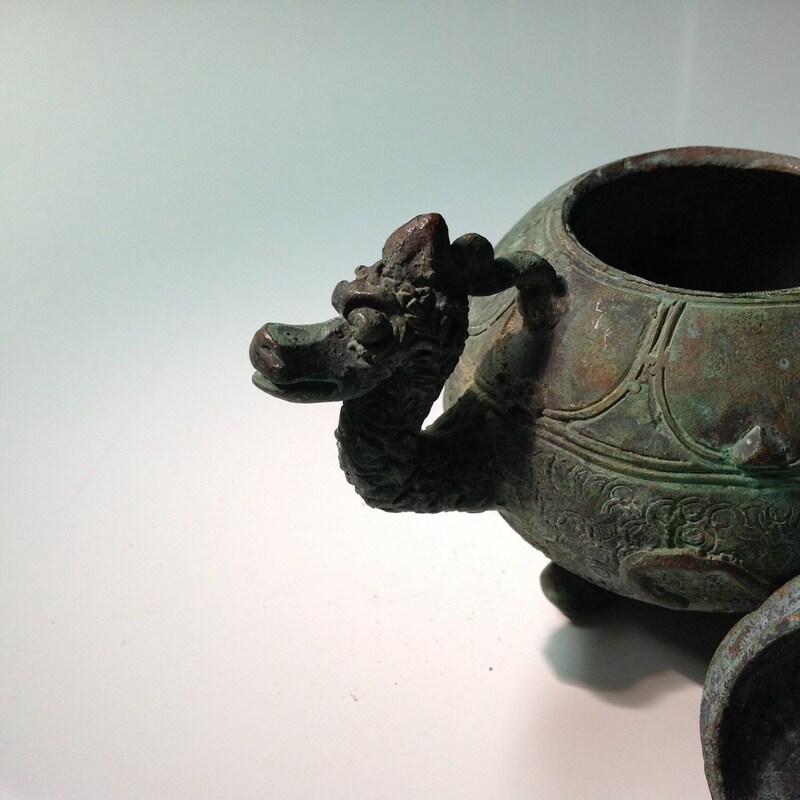 The spout is in the form of the head of a dragon. There is a complex pattern around the sides of the vessel that includes a Kawi script and numerous concentric circles. The buddha holds an offering of some kind and is surrounded by four objects of the same. 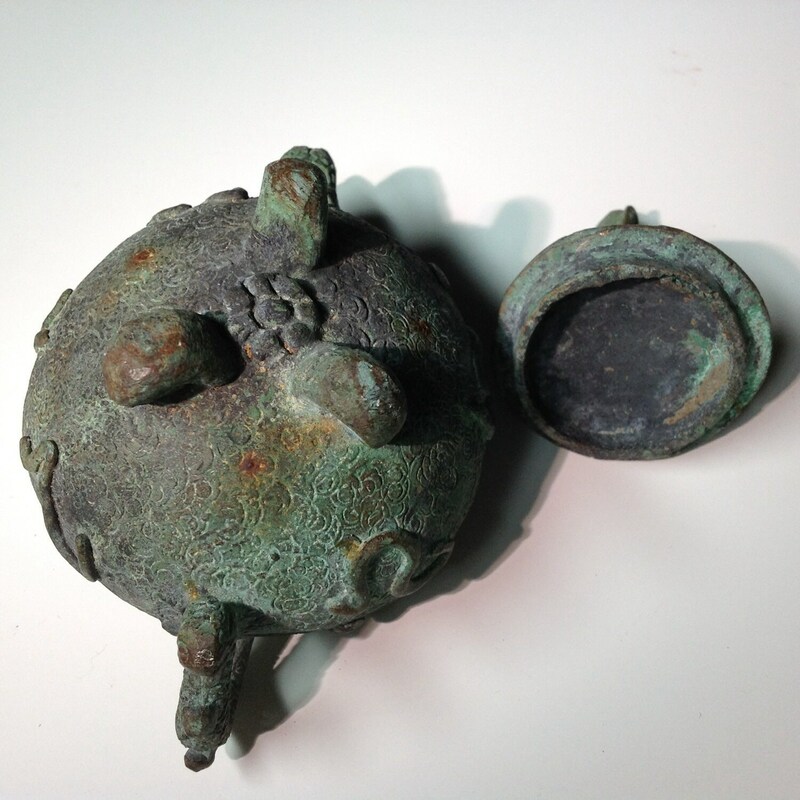 It is a highly unusual item and I can't find anything that remotely resembles it anywhere. Condition is as you would hope with a bright green patina that accumulates deepest in the areas least likely to be handled. No significant bends, cracks, or losses. Height is 12.8cm (5"). 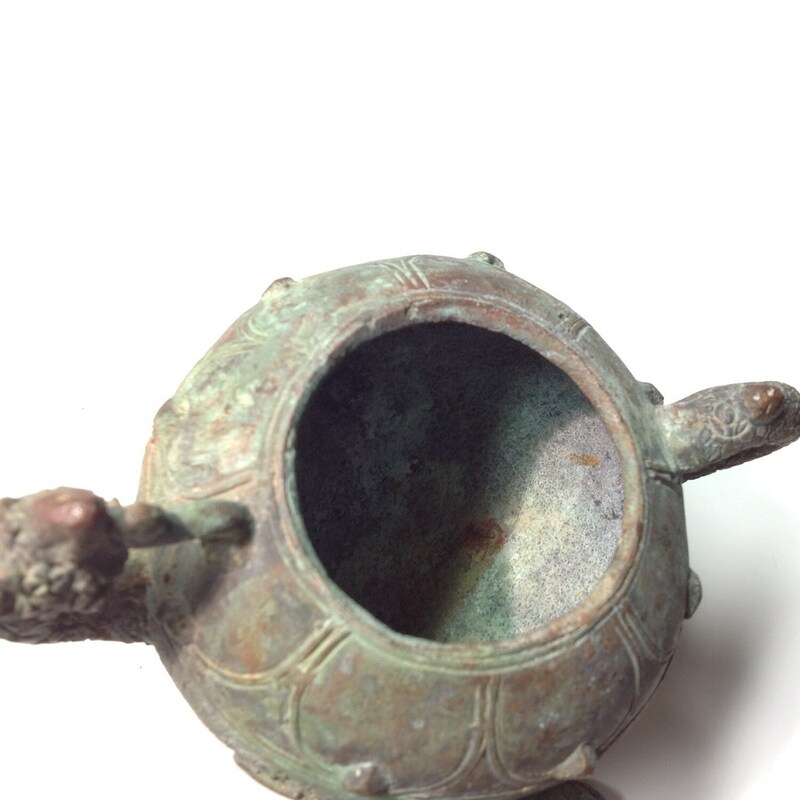 This was acquired from a larger lot of Javanese bronze artifacts in a Washington DC area estate auction. Pounce on this terrific listing or you can just browse around the shop!